Looking for Shopify promo codes and coupons? #MasterTheWeb and save money today with our exclusive The Webmaster offers. Completely free 14-day free trial. No Credit Card required. Click the Shopify Free Trial Coupon Above. Click the Free Trial Coupon above to be taken to the Shopify website. click the “Start Free Trial” button in the top right-hand corner of their website. Click 'Start Free Trial' © The Webmaster. Shopify only requests the most basic information from you in order to sign up. Enter your email address, password, and the name of your new store. Enter email, password, and store name © The Webmaster. The next step activates your 14-day free trial. Click “Get Started” to continue. 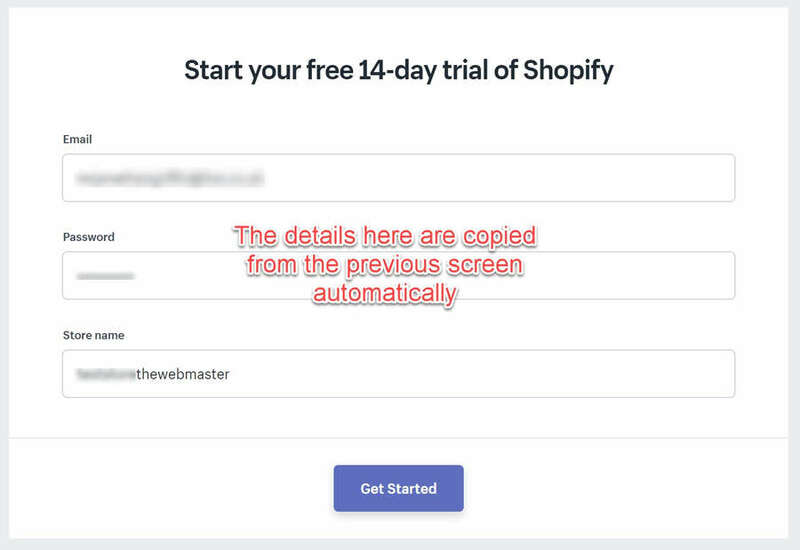 Start your free 14-day trial of Shopify © The Webmaster. Wait while your store is created. Your store will now be created. You will then see a number of questions designed to set up your store quickly. Wait while your store is created. © The Webmaster. Will I need to give my credit card to sign up for the free trial? No, the free trial is completely risk free. You do not need to provide any payment details. All that is required is your email, password, and Store Name. What do Shopify charge for when billing and how do I pay? 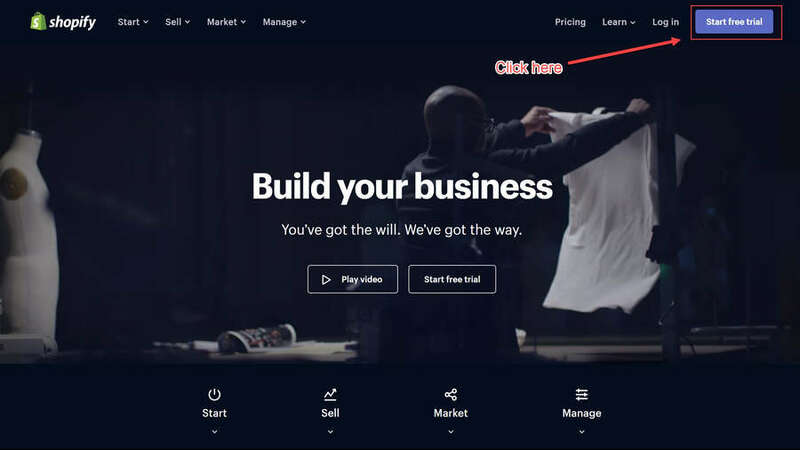 Subscription - This is the fee for your Shopify Plan. Apps - This applies if you have installed any third-party apps, and includes recurring fees, usage fees, and one-time fees. Shipping - Any fees for shipping labels. Transaction Fees - Any transaction charges associated with your account. This is only applied if not ussing Shopify Payments. Shopify suggests using a valid credit card from Mastercard, Visa, or American Express to pay your Shopify expenses. Your credit card needs to allow for recurring payments.